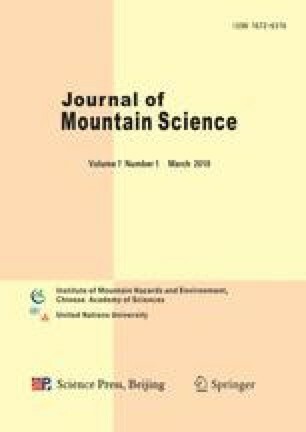 The work presents microparticle concentrations in snowpits from the East Rongbuk Glacier on Mt. Qomolangma (Everest) (ER) (28.02°N, 86.96°E, 6536 m a.s.l. ), the Zhadang Glacier on Mt. Nyainqentanglha (NQ) (30.47°N, 90.65°E, 5800m a.s.l. ), and the Guoqu Glacier on Mt. Geladaindong (GL) (33.95°N, 91.28°E, 5823m a.s.l.) over the Tibetan Plateau (TP). Variations of microparticle and major ions (e.g. Mg2+, Ca2+) concentrations in snowpits show that the values of the microparticles and ions in the non-monsoon seasons are much higher than those in the monsoon seasons. Annual flux of microparticle deposition at ER is lower than those at NQ and GL, which could be attributed to the long distance away from the possible dust source regions as well as the elevation for ER higher than the others. Compared with other remote areas, microparticle concentrations in the southern TP are much lower than those in the northern TP, but still much higher than those in Greenland and Antarctica. The seasonal and spatial microparticle variations are clearly related to the variations of atmospheric circulation according to the air mass 5-day backward trajectory analyses of HYSPLIT Model. Resultingly, the high microparticle values in snow are mainly attributed to the westerlies and the strong dust storm outbreaks on the TP, while the monsoon circulation brings great amount of precipitation from the Indian Ocean, thus reducing in the aerosol concentrations.